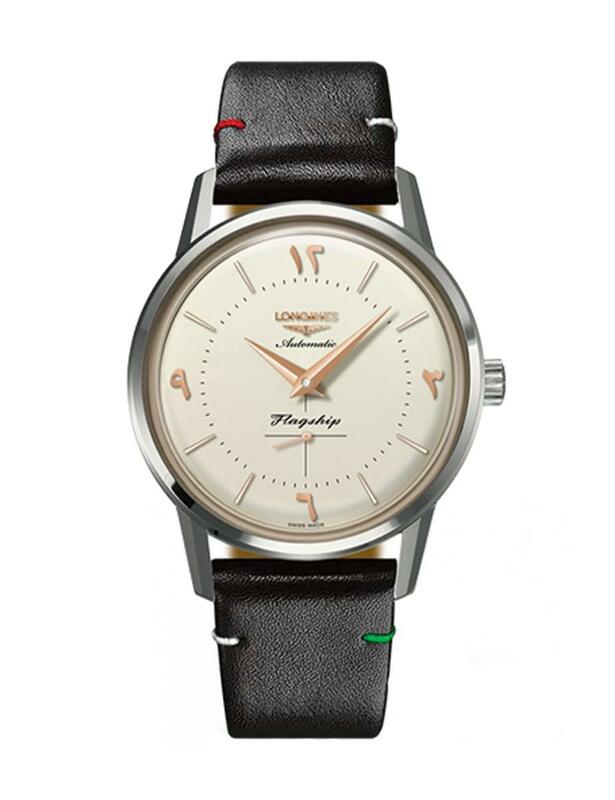 Longines pays homage to the United Arab Emirates by creating an exclusive watch issued from its iconic Flagship collection, a perfect fusion of technological excellence and understated elegance. This exceptional model will undoubtedly enchant lovers of classic and timeless watches. Longines sold its first Flagship in 1957, and ever since, the collection has met with lasting success. A perfect blend of technical mastery and subdued elegance, the Flagship owes its name to the ship upon which the flag of the fleet's commander in chief snaps in the wind. The winged hourglass brand is glad to dedicate an exclusive edition issued from this emblematic line to its customer in the United Arab Emirates. Only available in a limited series of 200 pieces, this special watch boasts some design elements which pay tribute to the United Arab Emirates. The silvered opaline dial is adorned with numerals in Arabic language and indexes in rose colour. Pink dauphine hands coated with Super-LumiNova point to the passing hours and minutes. 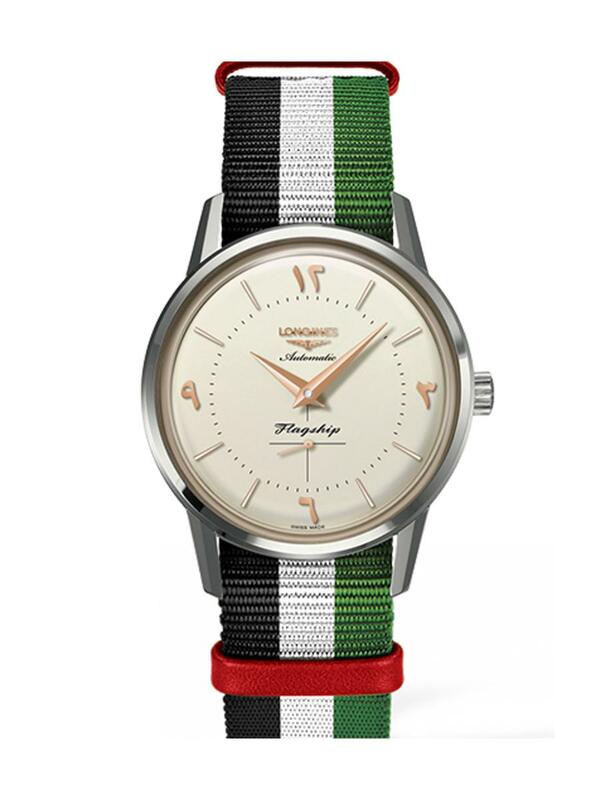 This watch comes with a black veal and a multi-coloured NATO strap, which boast green, white and red accents subtly hinting the colours of the United Arab Emirates flag. 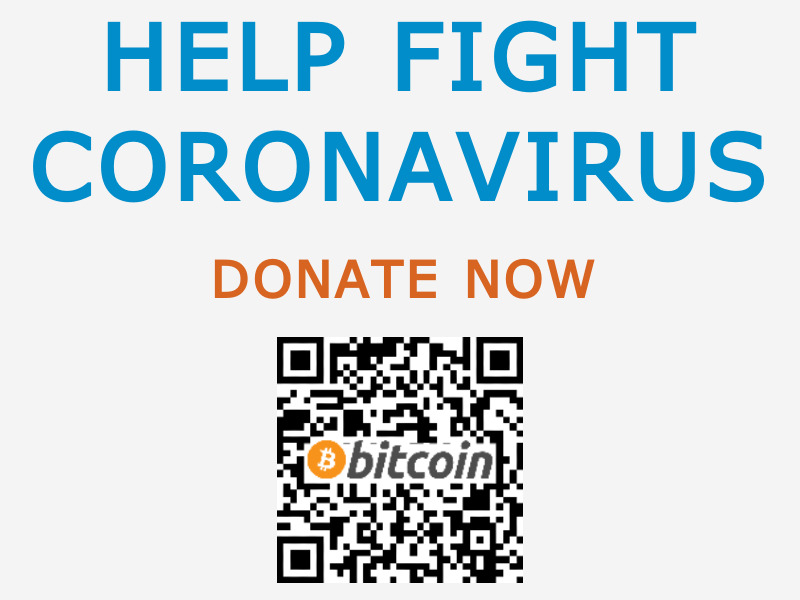 Both versions of the strap are provided with each model, along with the required replacement tool, all of which come in a case specially designed for the occasion.